Chofu Creston Hotel is 1 minute walking from Chofu Station. We are on the 8th through the 10th floors of Chofu PARCO. Various services are offered for accommodation, a cozy wedding, parties in large or small banquet halls, events and seminars, etc. Enjoy fully experience in a hotel! 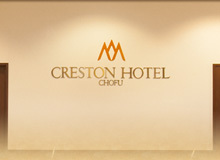 Chofu Creston Hotel is located only one minute walking from Chofu station. We are on the 8th through the 10th floors of Chofu PARCO, and serve you wedding, exhibitions in banquet rooms, and accommodation. © 2019 Chofu Creston Hotel All rights reserved.